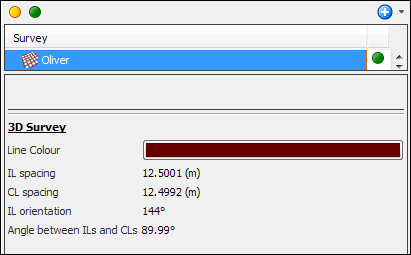 a drop-down box showing the name, length and CMP extents of each line in the survey. 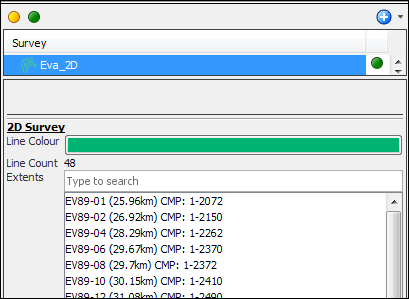 For more information, see Managing 2D Data. the angle between the inline and crossline directions (which should always be very close to 90 degrees).